Erebus Motorsport has unveiled theworld’s first Mercedes-Benz E63 AMG V8 Supercars at a ‘purple’ carpet launch atAll Phones Arena in Sydney this evening. The much anticipated event saw over 280people pack the arena to witness history in the making. Team Owner, Betty Klimenko said thatunveiling the first AMG Customer Sports race cars to be built outside Germanywas incredible. "It’s not often in life you get totouch your dream,” said Klimenko. 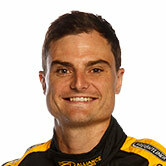 "Having tonight’s launch in the sameweek as winning the Bathurst 12 hour, is like the icing on the cake. "To love motorsport is to love thefeeling of being alive. To hear, see and feel the excitement, and to be a partof one the greatest team sports in the world, is amazing. "I love the fact that fans feel theyare part of the team and always have a smile for you at the track, even whenthings might not be going exactly how you planned it. "Walk along pit lane before all theexcitement starts is like watching the sun come up, you know it’s just going tohappen, your just waiting for it to begin. "I love the challenge and I love theperfection of my cars, and of my crew,” said Klimenko. CEO Ryan Maddison admitstonight’s launch is a dream come true. “At the Bathurst 12 hour last year Ispoke with a representative from AMG and he told me ‘I don’t believe this willever happen. “This project has been a dream of minefor as long as I can remember and tonight this dream has become a reality; andthere is a sense of disbelief that we are here. “The only way that we were able toachieve what we have is because of the dedication which is found in AMG, StoneBrothers Racing and Erebus Motorsport; they are the true heroes of tonight. 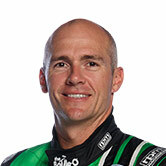 Wecan look forward to being a major contributor to the V8 Supercars series. “Betty believed in me and my ability todrive this project, and I respect her so much for giving me the opportunity tobe part of this project,” said Maddison. With just 109 days to build three brandnew race cars, General Manager Ross Stone said it was a remarkable achievementby the team. “Everyone at Erebus Motorsport V8 hasworked so hard and because of their passion for building these cars, they haveworked the required hours necessary to get them here tonight. It’s just aphenomenal effort by all. “Betty is the first female owner in V8Supercars and she has already proven that with her passion and determinationanything is achievable. It is because of her belief in this project that we arehere tonight. “Now we are looking forward to gettingthe cars out on track on Saturday at the first test day and really seeing whatthey can do,” said Stone. 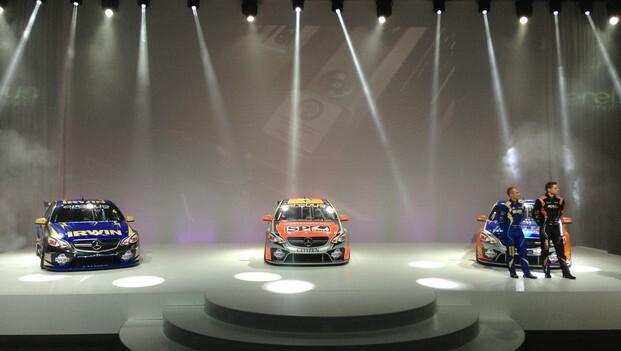 V8 Supercars CEO David Malone said:“Iofficially welcome Betty and Ryan to the V8 Supercar family. “Betty is a remarkable business womanwith a particular thirst for motorsport. It’s also reasonable to say Betty’sincredible passion is infectious. As a result I am sure Erebus Motorsport willbe well placed with this drive and commitment at play. “This Saturday at Sydney Motorsport ParkErebus will debut its three Mercedes-Benz E63 AMG Supercars. This is a trulysignificant moment for Erebus, and V8 Supercars – after five years of hard workthe Car of the Future era is now a reality. Senior Manager AMG Customer Sports UlrichFritz expressed his support for the project. "Since joining the AMG CustomerSports Program with the SLS AMG GT3, Erebus Motorsport's passion andprofessionalism certainly helped to establish this exciting V8 Project. “The team's enthusiasm and theiroverwhelming will to win has not gone unnoticed and helped to convince us todevelop the V8 Supercar based on the new E 63 AMG within the AMG CustomerSports Program. “The launch of this car is a milestonefor this program as well as the Erebus Motorsport team, who have shown animpressive work ethic ever since the start of the project. “We wish them all the best for theupcoming season and hope that the race fans in Australia enjoy seeing andhearing the E 63 AMG,” said Fritz.